Sumner Sallade Bowman was born in Millersburg, Pennsylvania, on February 9, 1867. Before enrolling in the University of Pennsylvania Law School, he earned his B.S. degree from Dickinson College. He received his LL.B. degree from Penn in 1891. 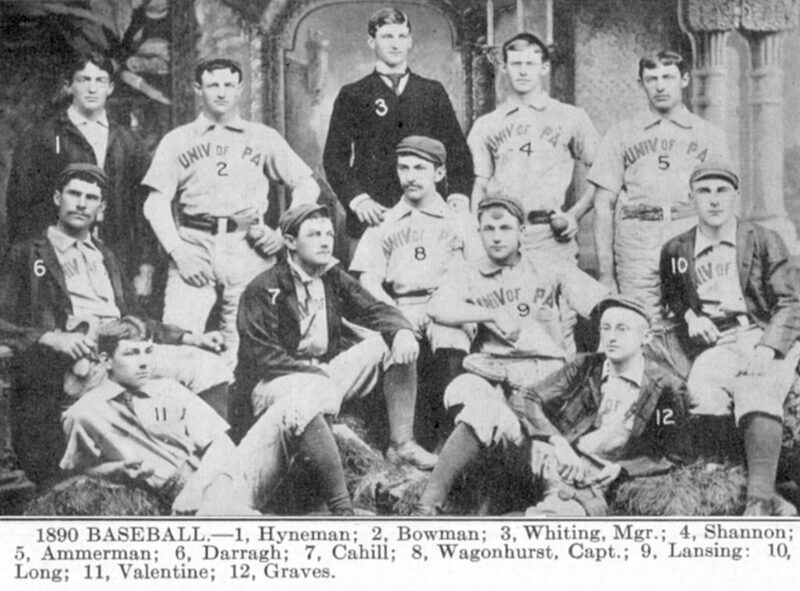 During his law school years, Bowman was a pitcher for Penn’s University baseball team of 1889, 1890, and 1891. He is remembered as one of the best pitchers the University of Pennsylvania has ever had. On June 11, 1890, while a law student, Bowman debuted for the Philadelphia Phillies. A pitcher and outfielder, he played professional baseball through the 1891 season, not just for the Philadelphia Phillies, but also for the Pittsburgh Alleghenies and the Philadelphia Athletics. Bowman’s baseball career ended the fall after his law school graduation. He went on to practice law for seventeen years in New York City, also serving as a Deputy Attorney General for the state of New York for four years. During World War I, he served in the Judge Advocate General’s Department.